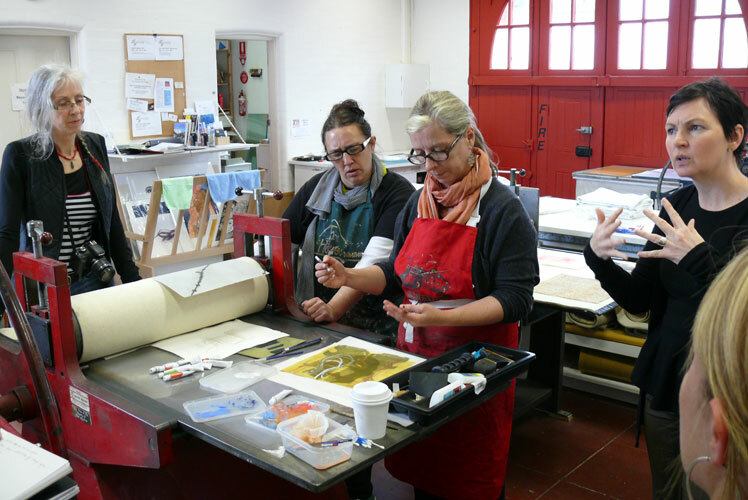 Private Collaborations are undertaken during the year on a limited basis due to availability. 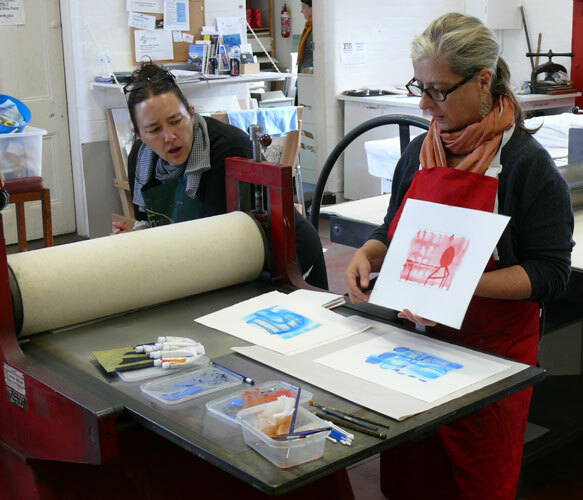 I work with artists in seclusion for a one or two week period to help create a unique body of original prints in either Mono Printing, Etching, Collagraph and woodblock techniques. 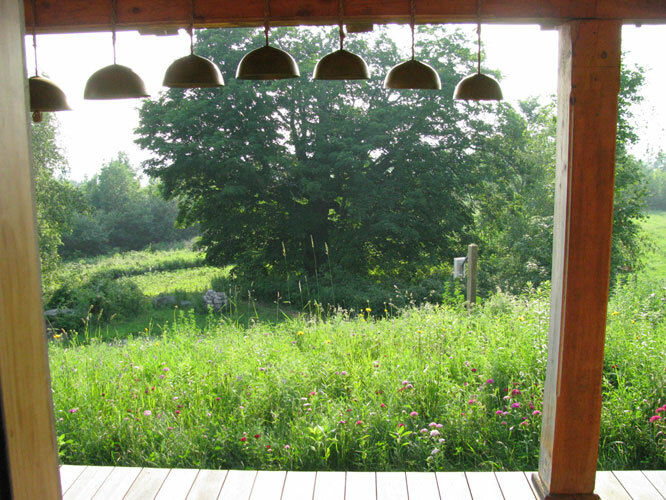 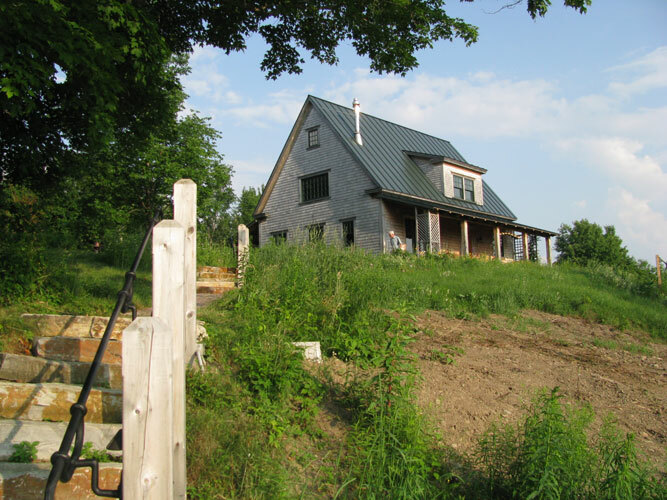 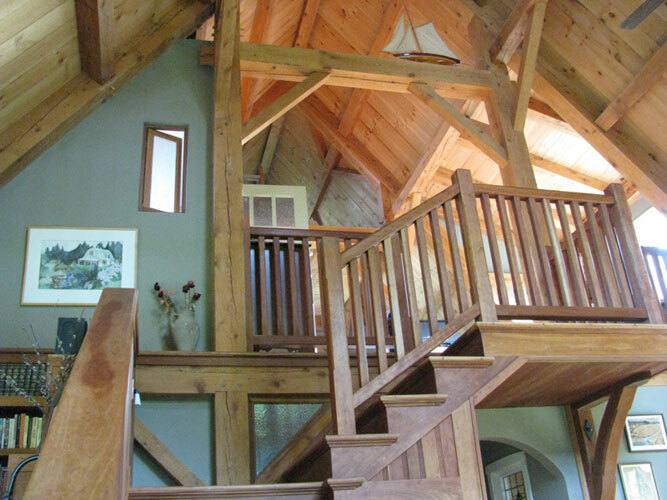 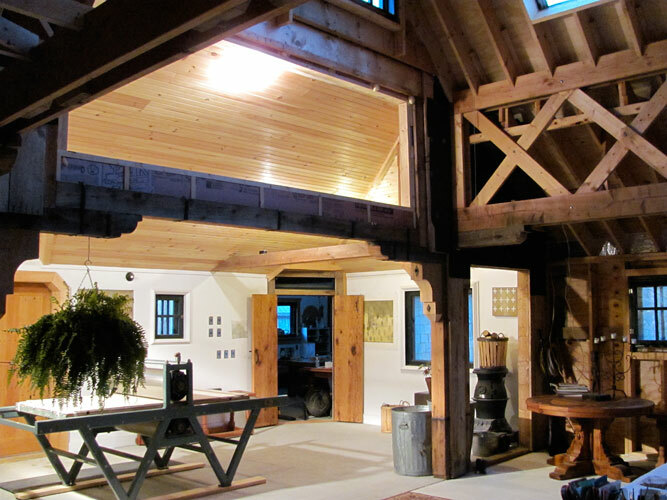 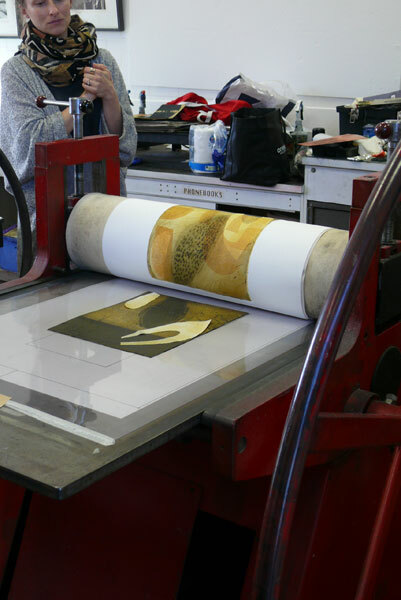 The artist is either accommodated at West house - a beautiful artisan post and beam house - or a local Bed and Breakfast, both within close proximity to the print studio. 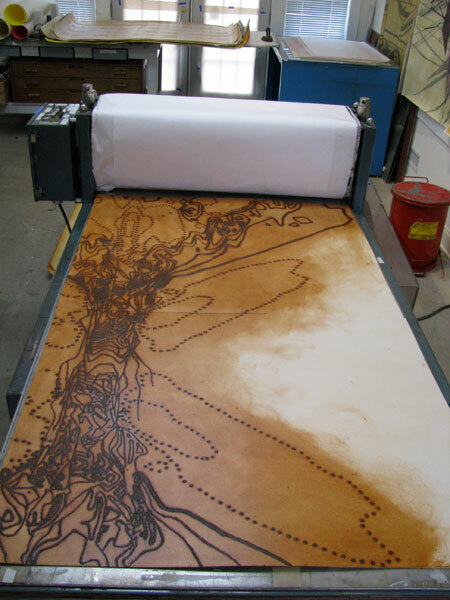 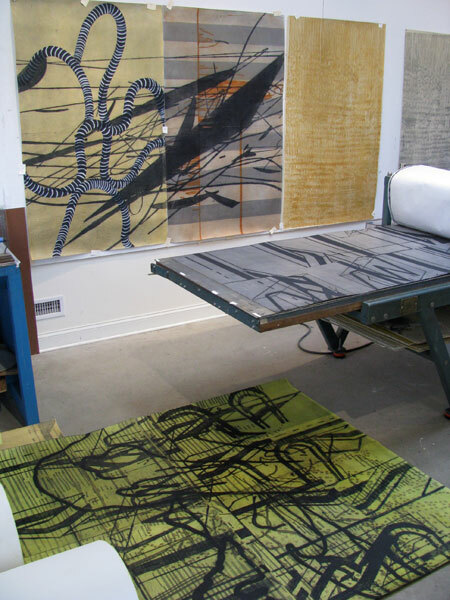 Printmaking Collaborations are a unique way of working on your specific project or a new body of work with a Master Printmaker who has over 25 years of personal and Professional experience. 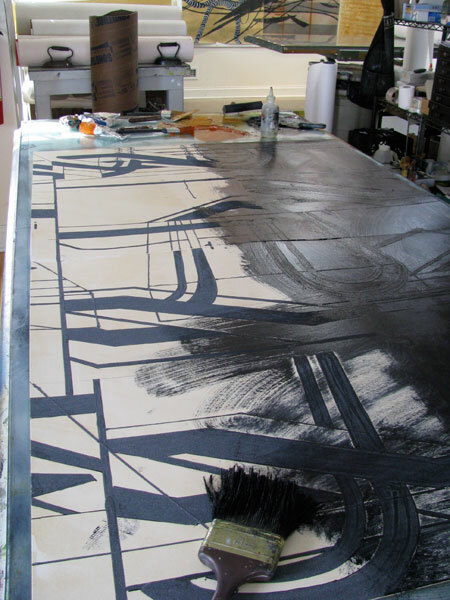 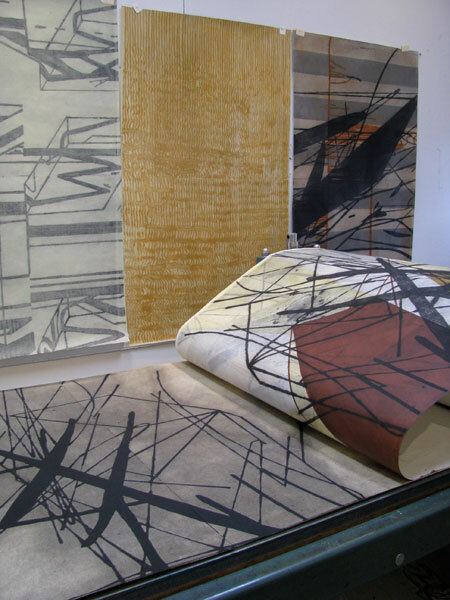 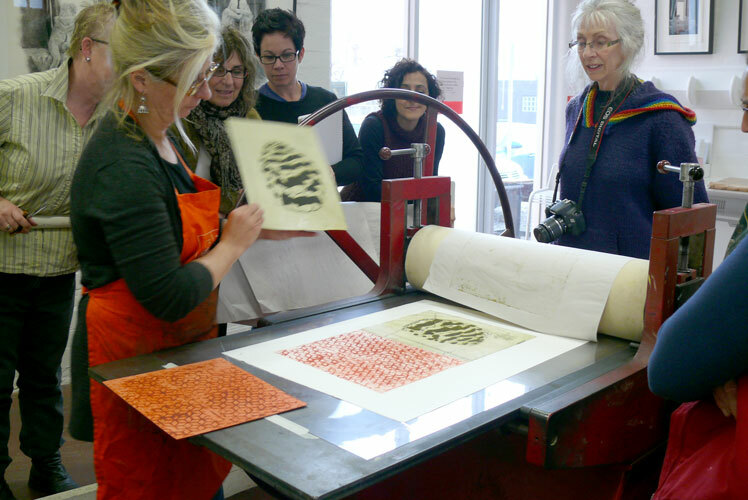 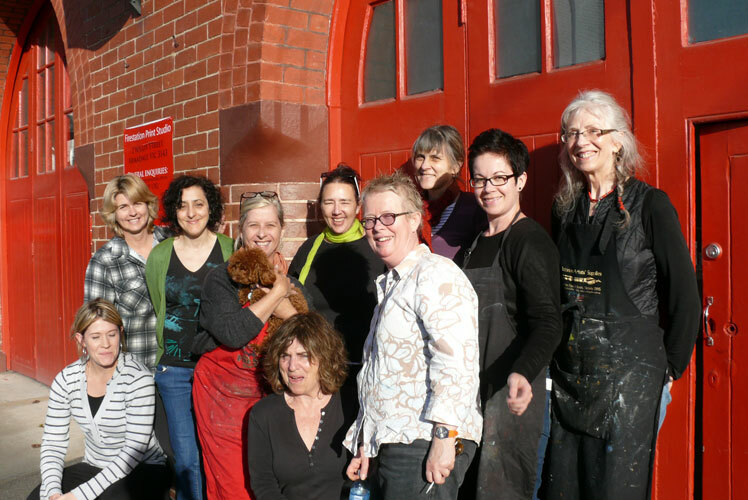 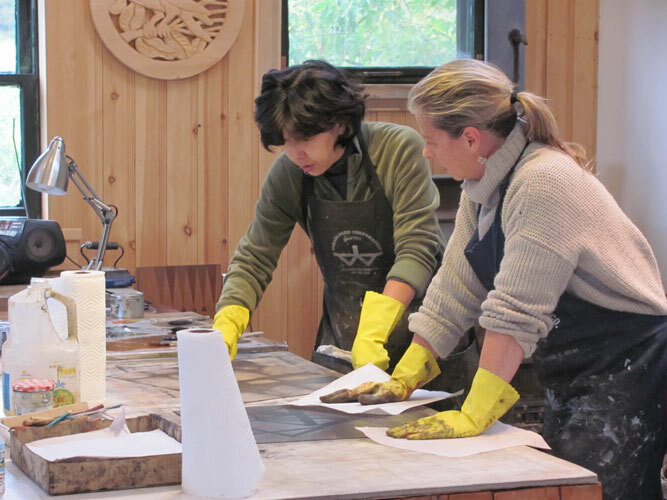 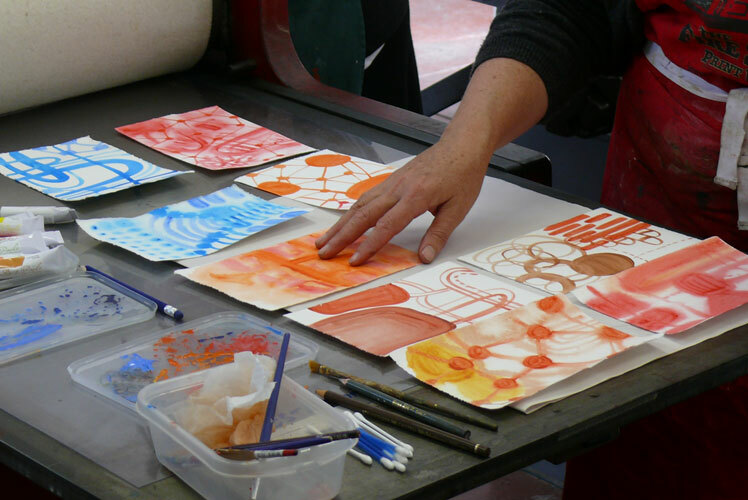 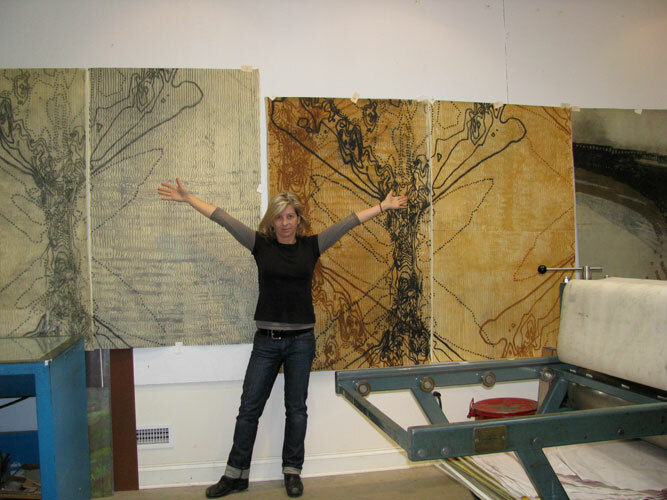 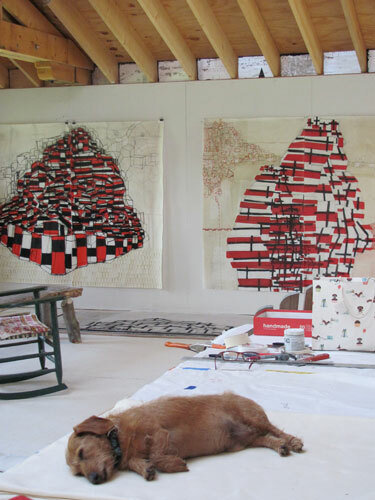 Classes in Collagraph, Multi-Plate Mono Printing, Woodblock, Mural Printing and Etching are offered at Sarah Amos Studio each year from June to August. 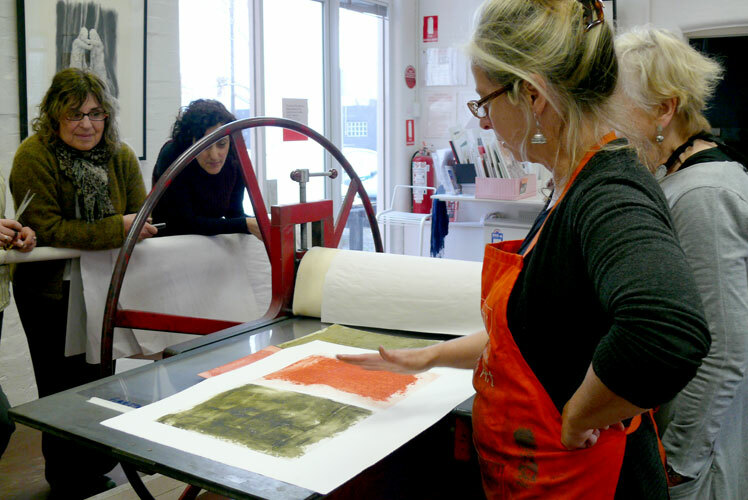 These small classes all include basic to advanced techniques in either a week or weekend format. 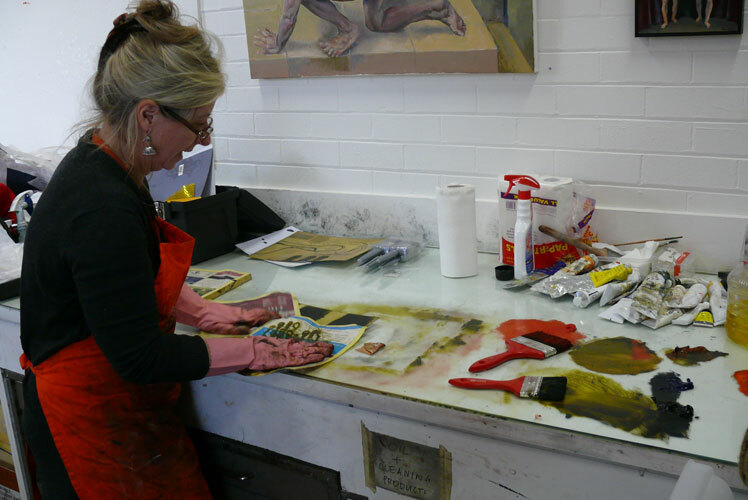 All classes include hand drawing demonstrations in both water and oil mediums, portfolio development and archival practices. 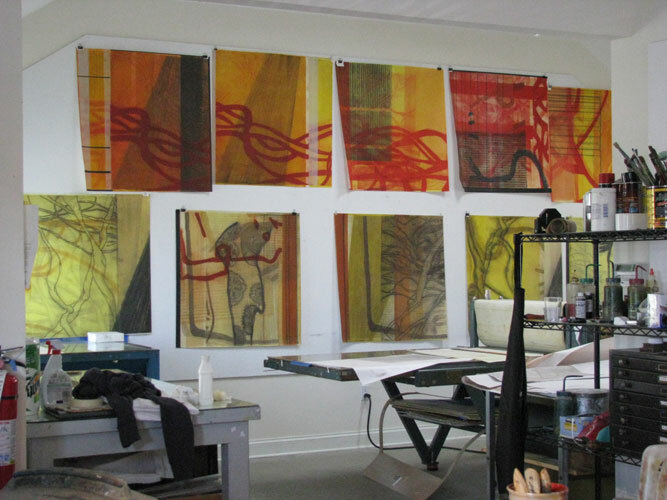 Please contact me for further information and pricing on either my current class schedule for both Vermont and Australia or Private Collaborations at my home studio at SAMOS@PSHIFT.COM.